Cleaning a bathroom is a mess but not with these 18 genius bathroom cleaning hacks. Check out! Without a doubt, the bathroom is one of the messiest areas of the home. Not only is it hard to clean, but it seems like the bathroom is messy again in a matter of hours! Here are 18 amazing bathroom cleaning hacks that will help you to keep things fresh and clean. If your shower head doesn’t seem to do more than dribble hot water, it may be time to clean the shower head! 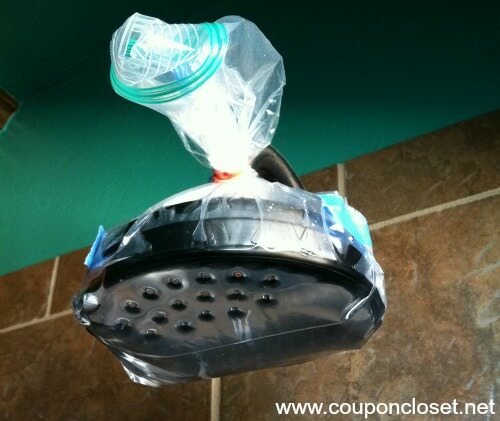 Fill a bag with vinegar and tie it around the shower head. The vinegar will break down any hard water deposits. 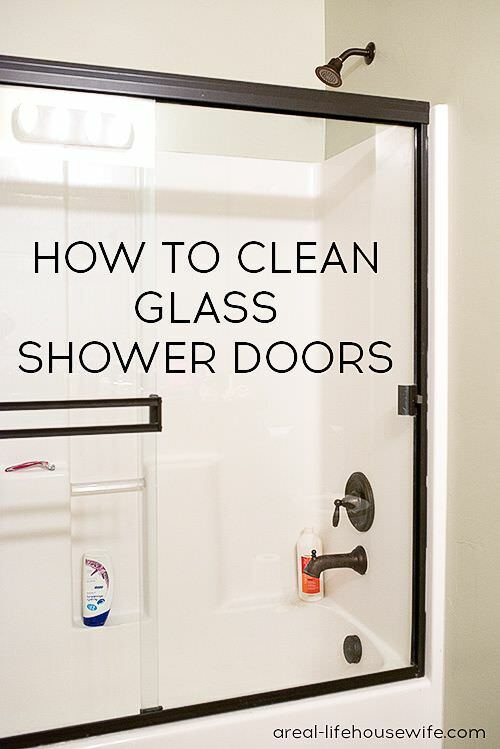 Ask Anna has an amazing tip on how to clean glass shower doors. She recommends using a magic eraser to tackle buildup. For easier jobs, pantyhose will do the trick! 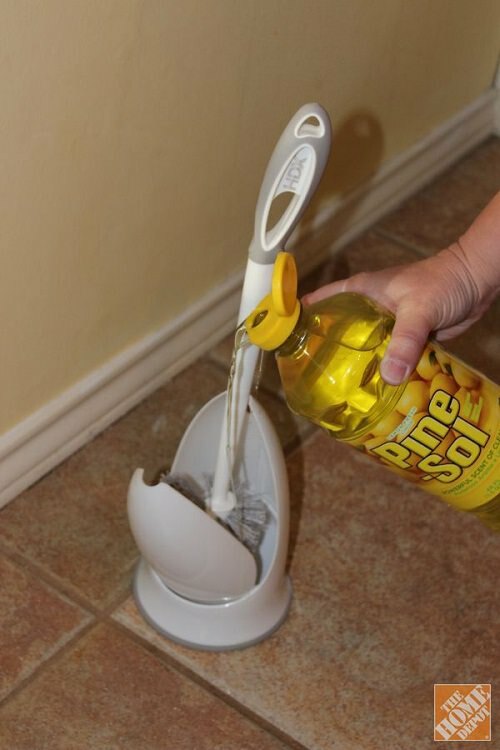 Pour a bit of all purpose cleaner in the bottom of your toilet brush holder. The cleaner disinfects the brush and leaves your bathroom smelling fresh. What could be better? Visit 101DaysofOrganization to read the full post.